In aerospace, there is one standard that always seems to be popping up, DO-160. Aircraft suppliers are often complying with aviation authorities’ regulations by testing their product to DO-160. DO-160 is a standard that was published by the industry group Radio Technical Commission for Aeronautics known as RTCA. RTCA is not a government regulation, however the FAA, EASA and others will often cite RTCA/DO-160 as a means of compliance for certification. In fact, it is the de facto standard in aerospace environmental testing. DO-160 includes both environmental plus EMC, but in this article, we’ll provide an overview of just the EMC-related sections. In later blogs, we’ll go through each section, describing the tests in more detail, along with specific challenges for each. 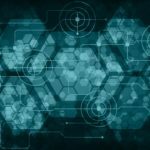 So what is in RTCA/DO-160? The first thing to note is that DO-160 is test procedure. It is not a requirement. It is not a handbook. 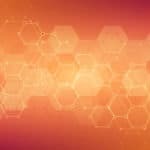 Sure, it gives some guidance of what testing is applicable but at its core is the need for companies to standardize testing categories, methods, and procedures. With this standardization, aerospace suppliers can produce products that more easily get certified on multiple aircraft. For example, if Bombardier, Embraer and Boeing all have different testing needs then a supplier needs to understand all three testing requirements. In addition, the testing facilities that test to these standards will also have to read and comply with all the different procedures. 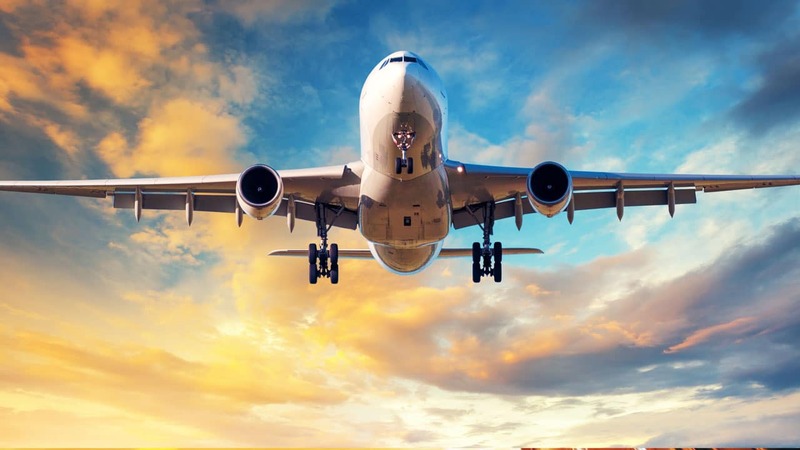 With the advent and adoption of RTCA/DO-160, airlines, suppliers, testing facilities and airlines all benefit from the standardization of testing. So, what does DO-160 look like? After that quick preview, let’s take a look at each EMC related section. Technically Magnetic Effect is part of EMC, just barely. 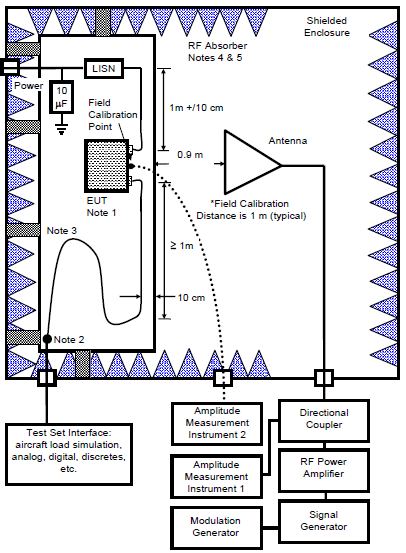 This test measures your equipment’s effect on critical flight sensor like a compass. The goal is to determine where your product can be located, relative to these aircraft sensors. There is rarely an issue with the test results from Magnetic Effect. Power input is the longest section of the standard stretching almost 70 pages. The tests are run depending on your products power source (i.e. 28VDC, 115VAC, 270VDC.) 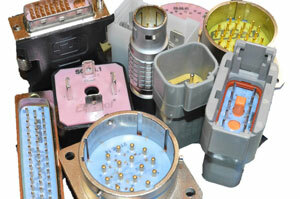 The tests in the section range from normal, abnormal and emergency operating voltages to voltage surges. It also can measure to AC harmonics, current inrush and power factor. This section encompasses all things about your power input lines. 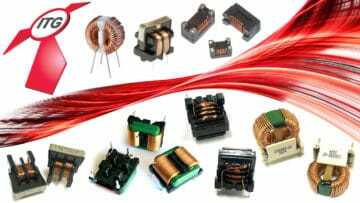 DC categories are “A” for sources with DC supplied from transformer-rectifier units, “B” for sources with significant battery capacitance, “D” 270VDC equipment and “Z” sources without constant battery capacitance. Voltage Spike determines whether your product can tolerate the voltage spikes arriving at the unit’s power leads (AC or DC). The main adverse effects to be anticipated are permanent damage, component failure, insulation breakdown, susceptibility degradation, or changes in equipment performance. Voltage Spike is separated in two categories, category “A” applying a 600V spike or category “B” applying a 200V spike or twice the line voltage (whichever is less). Audio Frequency determines whether your unit will tolerate frequency components normally seen during operation of the aircraft. 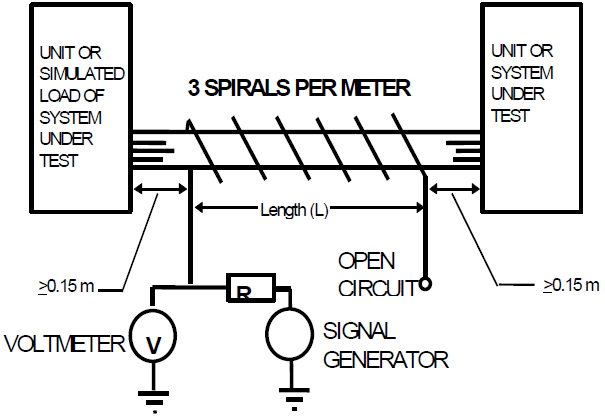 These frequency components are typically harmonics of the power source fundamental frequency. The categories for Audio Frequency mirror that or power input. They include R(CF), R(NF) or R(WF) for AC power sources and R, B, or Z for DC sources. Cat K(CF), K(NF) or K(WF) may also be required for AC systems with higher distortion levels. 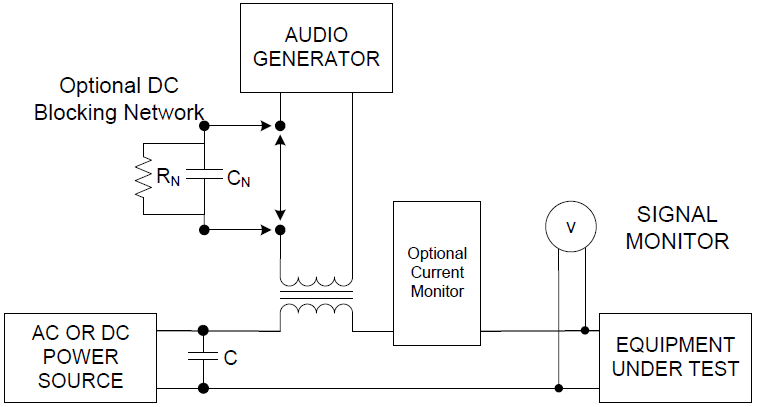 The test applies distortion to the primary power through an audio transformer. Inducted signal susceptibility includes five tests that determine the effect of interfering signals related to the power frequency harmonics, audio frequency signals, and electrical transients created by other systems. 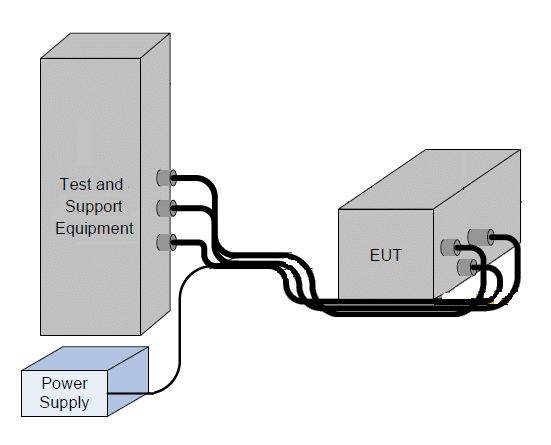 The test simulates noise generated on other interconnecting bundles that are routed in close proximity to your unit’s wire harness on the aircraft. The categories include B, A, Z and C which include increasing levels of susceptibility. The most severe test of 5 tests involves a switching relay chattering noise on to closely wrapped wires. Radio Frequency Susceptibility’s purpose is to determine whether your product will operate within when the unit and its cable are exposed to a RF field. RF susceptibility is actually two tests; Radiated and Conducted Susceptibility, often referred to as RS and CS respectively. RF noises is applied to the EUT in continuous wave, square wave and pulsed modulation modes. 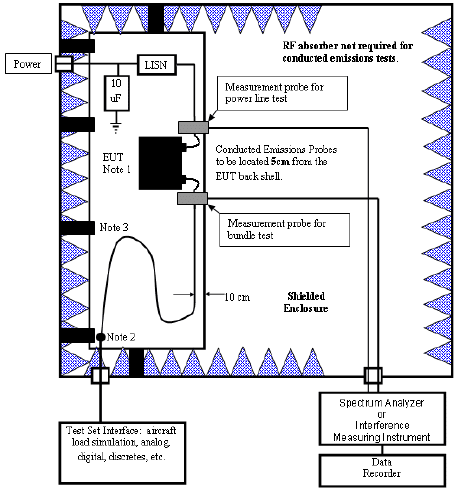 Radiated Susceptibility uses an anechoic chamber and an antenna to blast the product with RF whereas Conducted Susceptibility uses an injection clamp in induce the noise onto the EUT’s I/O cable. Radiated and Conducted Emissions is your typical emissions testing for aerospace products. Just like section 20.0, this section is broken into two tests; radiated and conducted. The purpose of Emission of Radio Frequency Energy is to put an upper limit on the amount of RF energy your equipment can emit on the airplane. This will ensure proper integration and operation of the aircraft. The categories include varying levels of acceptable emissions based on the location of the equipment. Consideration is also given by the aircraft manufacturer to the nature of the product being designed. A typical setup for the conducted emissions portion is shown below. Lightning Induced Transient Susceptibility is intended to simulate lightning events striking the airplane and coupling onto your product’s interconnecting cables. This section, sometimes referred to as indirect lightning, is severe in nature, often driving hundreds or thousands of amps into a single pin of your unit’s connector. The section is broken into 3 separate parts; pin injection, induced cable bundle strikes and multiple burst testing. Pin injection looks for hard failures in your product after the strike where as cable bundle and multiple burst often requires your unit to operate while the event is occurring. Each test includes different waveforms that have durations as long as 500µs. Levels 1 – 5 increase in severity, topping out at 3200 volts and 5000 amps. This section is often the hardest to pass. Direct Effects, contrary to indirect lightning, tests products that may be directly struck by lightning. This is limited to products that will be mounted on the exterior aircraft. 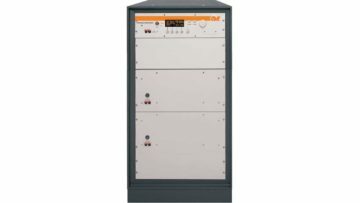 The section includes a high voltage strike test and a high current test. The equipment is often not expected to survive but must not cause any unsafe condition to the aircraft. Electrostatic Discharge or ESD is a test to ensure your products reliance to static charges. This section test relates to airborne equipment which may be involved in static electricity discharges from human contact. It is applicable for all products that are accessible during normal operation or maintenance of the aircraft. Though no applicable to connector pins, aircraft manufacturers often require it. The EMC sections of DO-160 thoroughly tests your products ability to survive and operate in normal and abnormal conditions seen on an aircraft. Passing this 500-page standard is not easy. Understanding the test and how it is applied to your design is critical. I have written extensively at www.aerospacepal.com including a DO-160 video to help users understand. Please also continue to read my blog on Interference Technology Magazine as I dive deeper into the sections listed above. Patrick Albersman is an aerospace consultant and founder of Aerospace Pal, LLC. Patrick is an expert in electrical aerospace design and RTCA/DO-160 compliance and has worked in aerospace for over 10 years. After graduating from the University of Minnesota, he started his career as a design engineer at Goodrich / UTC Aerospace Systems. Patrick became knowledgeable in DO-160, designing mission critical sensors to the most stringent lightning and HIRF levels in aerospace. After leaving UTC Aerospace, he worked at Sensata designing automotive parts and later Orbital ATK designing advanced weapon systems for aerospace. 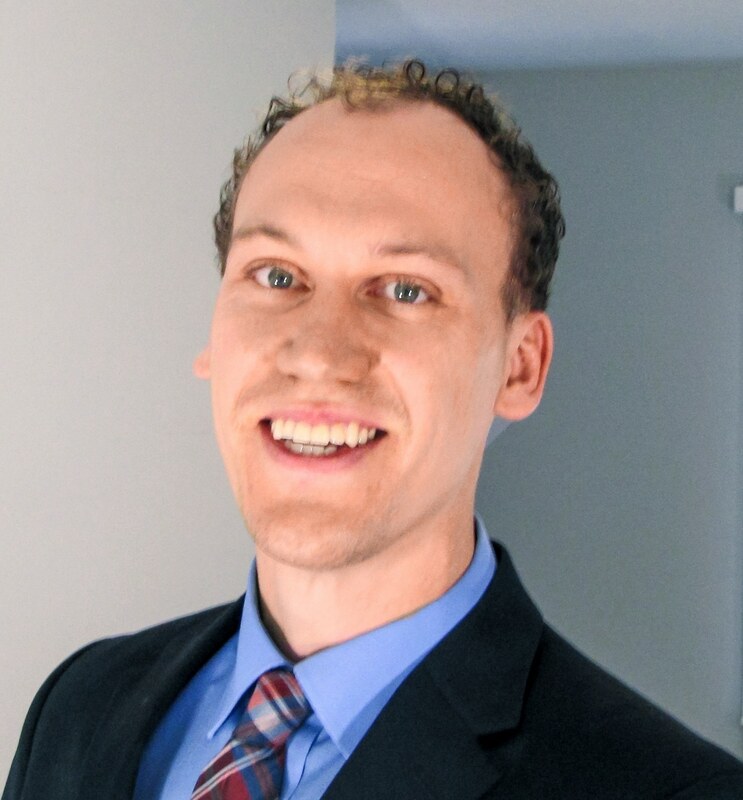 Patrick started Aerospace Pal in 2014 to help engineers and designers meet RTCA/DO-160 aerospace requirements through consulting and DO-160 training. You can reach Patrick at AerospacePal.com or by email at patrick@aerospacepal.com.